Firstly my sincere apologies for not being active during the last few months. I would like to say sorry to all those people who have been asking me to update my blog but I had to keep you all waiting. Being an ardent Street Photography Enthusiast, photo walks to capture hustle-bustle of the streets attract me a lot. Unfortunately I could not go for any significant photo walks last year because of my studies and other engagements. I remember that the last time I had gone out with my camera to photograph the streets was in May, 2015. Since then all I could manage consisted of a few cloudscapes taken from my home and pictures that I had clicked during my October trip to Kashmir(blogposts) and a short trip to Orissa in December. Last Sunday when Swarnava (my partner in crime) asked me if I could accompany him for a photo walk, I did not give the idea a second thought .We chose Kalighat as our destination and the rest part about this meetup was unplanned. The difficult yet most interesting part of street photography is that you have to capture candid moment and it should convey a message or narrate a story to the viewer. 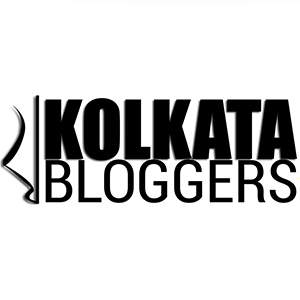 But you need not worry about this when you are in Kolkata as its people are friendly, even encouraging and allow us to click. I heard one of the lady saying “Son , Play well , they are clicking photographs”(in Bengali). While I was walking across a narrow lane, a kid ran up to me and asked me to take her photograph. Her innocence and childish excitement charmed me and I could not refuse her. Amazing article, i’m impressed by your great passion. Great photographs, they certainly all tell their own stories. I really like the one with the smoke rising from the grill in front of the subjects, it captures movement and energy. I’ve never been to India, although perhaps someday I will find the money to travel their, being able to see it through the eyes of a excellent photographer is the next best thing. Keep up the great work. Love your pictures! I’ve been to Kolkata a few times myself (considering i’m bengali) but i’ve never seen it this way before! Great work. The write up is simple and concise and the photos are beautiful. Great mood, very nice shots! Great photos! They really capture a lot more than meets the eye.